Haile Eve and his Pfeiffer University Men's Soccer teammates halted a four-match skid with a 3 - 1 win over Averett University at Lefko Field. Pfeiffer University jumped up 1-0 when Eve weaved his way through three Averett University defenders in the 10th minute and deposited the shot to the far post, out of the reach of Averett goalkeeper Austin Bramhall, giving Eve the game-winner and his first goal of the season. 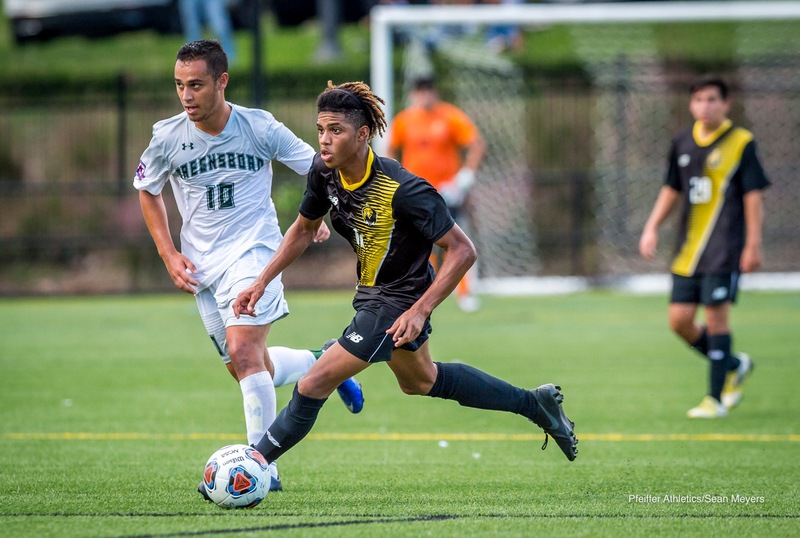 Pfeiffer grabbed the 2-0 lead in the 48th minute when Enrique Vargas received a pass from Chris Brown and slotted it just out of reach for his third goal of the season. In the 76th minute, Carlos Cuadros scored his third of the year when he went near post in traffic to stake Pfeiffer to the 3-0 lead.